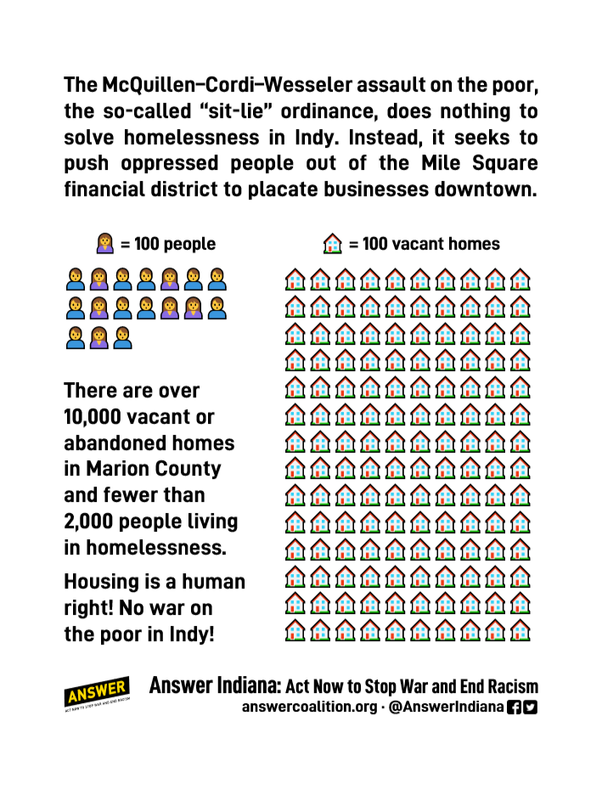 Fight the proposed anti-homeless ordinance! 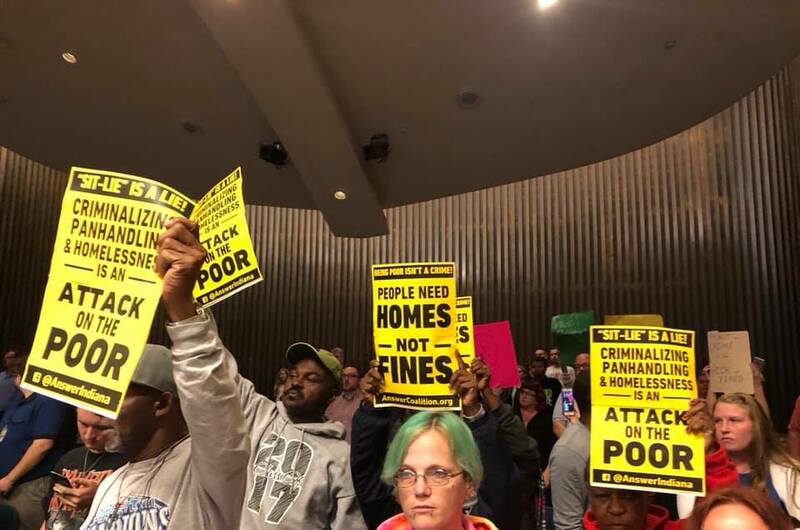 Answer Coalition activists in Indianapolis are deeply engaged in the campaign to stop a blatant attempt to criminalize the poor. The so-called “sit-lie” ordinance would make it illegal to be “sitting or lying down on city streets or sidewalks from 6 AM to midnight.” Instead of meeting the housing needs of the people of the city, the politicians are considering a measure that would expose homeless people to police harassment and fines simply for existing. This is intended to further line the pockets of big developers and business owners, who want the exclusive right to the city. Next Next post: Unite to stop fascism!